With the Seattle Seahawks facing off against the New England Patriots this weekend in Super Bowl XLIX, there has been much talk of the Seattle's “12th man" fan base. We had to know: is Seattle's booming tech scene really home to the best fans in the NFL? Or is the 12th man hiding somewhere else in America? To ensure that smaller markets like Green Bay weren't at a disadvantage, we normalized the data for population size. 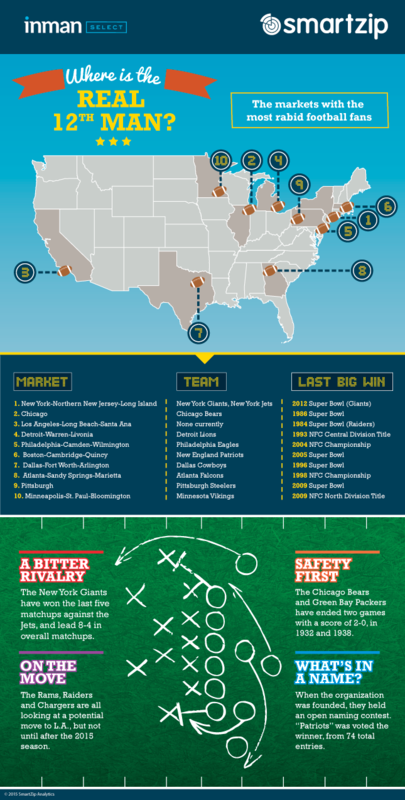 Without further ado, here are the markets with the most intense football fans in America.